Padma Warrior is the CTO and Chief Strategist of Cisco, she is brilliant and visionary and one of the most important technology leaders of this decade. Recently, she quoted a Cisco study placing the value of IoE as a $19 trillion opportunity for her company. It struck me that the PR industry should be investing some of its thinking time to the future into IoE too. IoE will affect all aspects of business and, like all other sectors, the PR profession has to find out the key things it will need to consider in this transition. This paper examines The Internet of everything from a PR perspective and identifies where, in the short term, it will offer significant advantages to the PR sector. We will discover that, with a new and developing set of professional skills and tools, practitioners will find new opportunities and the downside of underemployment will be avoided as a result. We will also note that without developing such skills, there will be an opportunity for a significant deleterious effect. 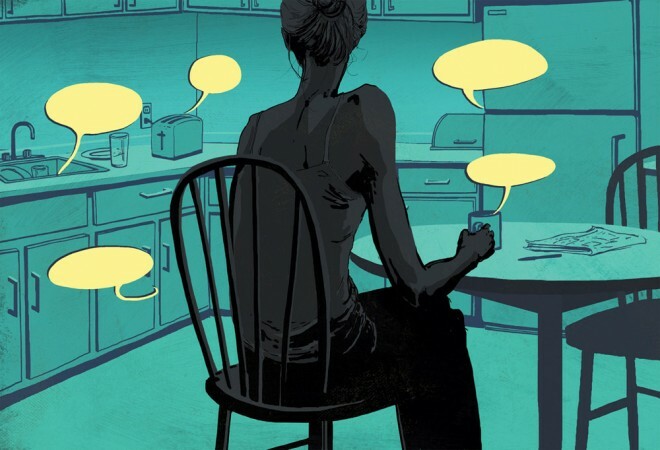 What is the Internet of Everything? IoE expands on the concept of the “Internet of Things” because it connects physical devices and everything else by getting them all on the network. It moves beyond being a buzzword and technology trend by connecting devices to one another and the Internet and offers higher computing power. This connection goes beyond basic Machine to Machine (M2M) communications, and it is the interconnection of devices that leads to automation and advanced “smart” applications. IoE works to connect more things onto the network, stretching out the edges of the network and expanding the roster of what can be connected. IoE has a major play in all industries, from retail to telecommunications to banking and Public Relations. There is a view that IoE will also include intangibles such as values, cultures and art and artistic interpretation. Also, it will encompass descriptions of features and benefits of products and services implied by the words and actions of the client and her many cultural constituencies. By 2018, 20 percent of business content will be authored by machines (even Larry Dignan could not pick many holes in this Gartner predictions). Technologies with the ability to proactively assemble and deliver information through automated composition engines are fostering a movement from human-to-machine-generated business content. Data-based and analytical information is already being turned into natural language writing using these emerging tools (AP-Dow is an example). Such automation should be a feature of Public Relations development. Should they want to, PR consultancies can offer these services now. Business content, such as shareholder reports, legal documents, market reports, press releases, articles and white papers, are all candidates for automated writing tools. These outputs can include code to make it even more attractive to IoT devices. For the past 100 years or so financial reporting has been paper based. Only in the last 25-30 years have reports been created electronically in a word processor and then printed or saved to an electronic format such as PDF or HTML. But the information contained in PDF and HTML is not easily scraped by computers. Digital financial reporting, by contrast, makes much of this information readable by computers, vastly expanding the potential for automating creation, distribution and analysis of financial reports. Such help from machines can reduce the time and, therefore, the costs of creating and consuming financial report information and improve its quality. With machine readability of financial reports, computers can read the reported financial information, "understand" it, and help make sure mathematical computations are correct and intact throughout the report. They can compare reported information to mandated disclosure rules and make sure the report's creator complied with them. This is somewhat similar to how manually created disclosure checklists are used as memory joggers. Reported information can be easily reconfigured, reformatted and otherwise repurposed without rekeying to suit the specific needs of an analyst or regulator. Ambiguity is reduced because for a computer to make use of the information, that information cannot be ambiguous. This makes the information easy for a computer to understand also makes it easier for humans to communicate more effectively. Processes can be reliably automated because computers can reliably move information through the workflow. Linking digital financial information together based on the meaning of the information can be much more reliable than trying to link physical locations within spreadsheets, which commonly change. The software can easily adapt itself to specific reporting scenarios and user preferences because it understands the information it is working with. No "magic" is involved here. Instead, digital financial reporting relies on well-understood IT practices, agreement on standard technical syntaxes and careful and clear articulation of already agreed-upon financial reporting rules in a form that computers can effectively understand. Progress towards IoE will also mean that a salesperson's mobile will also provide details travel, meetings, and conversations. Such data will be matched to travel, phone conversations, perhaps even mood measurements and, of course, sales closures. Sooner or later, there will be robots that train your children and help them with their homework. 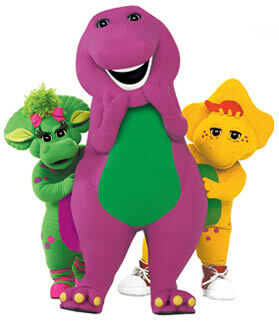 That "might seem a little strange to us, but is it really stranger than being trained by a purple dinosaur named Barney?" said Daryl Plummer, a Gartner analyst. Why should PR be involved? If PR is at the centre of much of this development, it stands to make a lot of money through implementation and use. Also, much of this evolution will disenfranchise the practitioner. Part of what is on offer will make practitioners redundant. Much of PR that is not automated will be very mundane. Being part of the new forms of PR will be very interesting, if not exciting! You can get an impression of the range of sensors already available from Intel (http://intel.ly/1GP8Unb). I like the ADIS16448 Accelerometer which I could put on my Ski's to prove I was jumping more than 5 metres. Imagine the world in which everything is connected and packed with sensors. 50+ billion connected devices, loaded with a dozen or more sensors, will create a trillion-sensor ecosystem. These devices will create what one might call a state of neo-perfect knowledge, where we'll be able to know what we want, where we want, when we want. Combined with the power of data mining and machine learning, the value that you can create and the capabilities you will have as an individual and as a business will be extraordinary. Over the next few months I will return to this theme but it gives a tiny insight into what happens on the way to PR Automation.